Claude Larre, Élisabeth Rochat de la Vallée, The Secret Treatise of the Spriritual Orchid ( Suwen, ch. 8 ), 1ère ed. 1987, réed. 1992. Claude Larre, Élisabeth Rochat de la Vallée, Heart master, Triple Heater , 1ère ed. 1992, réed. 1998. Claude Larre, Élisabeth Rochat de la Vallée, The Heart in Ling Shu chapter 8 , 1ère ed. 1991, réed. 2004. Claude Larre, Élisabeth Rochat de la Vallée, Spleen and Stomach , 1ère ed. 1990, réed. 2004. Claude Larre, Élisabeth Rochat de la Vallée, The Kidneys , 1ère ed. 1989, réed. 2001. Claude Larre, Élisabeth Rochat de la Vallée, The Lung , 1ère ed. 1989, réed. 2001. Claude Larre, Élisabeth Rochat de la Vallée, The Liver , 1ère ed. 1994, réed. 1999. Claude Larre, Élisabeth Rochat de la Vallée, The Eight Extraordinary Meridians , 1997. Claude Larre, Élisabeth Rochat de la Vallée, The Seven Emotions, psychology and health in ancient China , 1ère ed. 1995, réed. 2005. Claude Larre, Élisabeth Rochat de la Vallée, Essence, Spirit, Blood and Qi , 1ère ed. 1999, réed. 2010. Claude Larre, Élisabeth Rochat de la Vallée, The extraordinary Fu , 2003. Élisabeth Rochat de la Vallée, A study of Qi in classical texts , 2006. Élisabeth Rochat de la Vallée , Yin Yang in classical texts , 2006. Élisabeth Rochat de la Vallée , The Essential Woman, Female health and fertiity in chinese classical texts (Gynaecology in Ancient China) , 2007. Élisabeth Rochat de la Vallée, Pregnancy and Gestation in chinese classical texts , 2007. Élisabeth Rochat de la Vallée, Wu Xing, The Five elements in Classical Chinese texts , 2009. Élisabeth Rochat de la Vallée and al., Jingshen , a translation of Huainanzi chapter 7, 2010. Élisabeth Rochat de la Vallée, The rhythm at the heart of the world , Neijing Suwen chapter 5, 2011. Élisabeth Rochat de la Vallée, The Double aspect of the Heart , translated from the French by Madelaine Moulder, Monkey Press 2012. 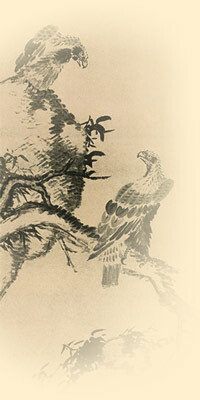 Élisabeth Rochat de la Vallée, Aspects of Spirit , Hun Po Jing Shen Yi Zhi in Classical Chinese Texts, Monkey Press 2013. For a more detailed presentation and to order books, please go to monkeypress.net or make a request by mail. Survey of Chinese Traditional Medicine , Claude Larre, Jean Schatz, Élisabeth Rochat de la Vallée, tr. Sarah Stang, Institut Ricci and Traditional Acupuncture Foundation, Columbia, Maryland, 1986. Rooted in Spirit, The Heart of Chinese Medicine , Claude Larre, Élisabeth Rochat de la Vallée, tr. Sarah Stang, Station Hill Press, New York, 1995.
the Redwing Book Company in the US and Canada. Various minor translations exist in other languages (Swedish, Polish…) and numerous articles in various journals and periodical in French and other languages. Books and other publications in French can be found here, and lists of published material in Italian, Spanish, Portugese, and German are also available.